Chiropractic is the world’s largest natural system of health care that respects our innate (inborn) potential to be well. Using neither drugs nor surgery, we work with you to achieve your health goals by removing interference in your spine and nervous system. Our bodies are self-healing and self-regulating. When you woke up this morning, did you have to think about how much blood your heart would pump today? No. Did you consider how your liver would metabolize your breakfast? No. Innately, your health is controlled from within, without you stopping to think about it. The master controller of our innate intelligence within is our nervous system. Our brain is in communication with every cell within us, directing cellular function. If there is any interference in your nervous system, it will lead not only to physical complaints, but psycho-emotional problems and a loss of human potential. 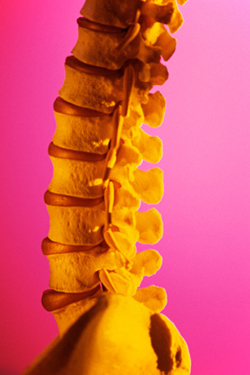 The most common interference to the nervous system is called a subluxation, caused by misaligned spinal vertebrae. The role of the Chiropractor is to locate interference in the nervous system and remove it, relieving pressure on the nerves so optimum potential can be realized and health regained. This is called a Chiropractic adjustment. When interference is removed, miracles can happen. At The Family Wellness Center, we have helped many people regain their health and increase their quality of life, naturally. 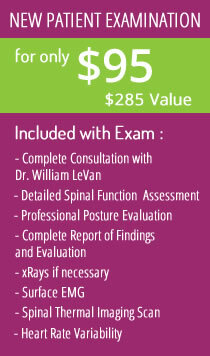 Learn more about the vitalistic approach of Network Spinal Analysis. Learn more about Insight Infrared Imaging Technology. What can we do differently today, to enjoy our lives more fully and prepare for a high quality of life down the road? We all know the answers; it’s just a matter of making the answers a part of our lifestyle. Good health has nothing to do with age. We all know 30-year-old people who feel and act like they are 60, and we all know 60 year olds who feel and act 30. You deserve to live a long, healthy, quality life. One of the first things that people say when they begin receiving Chiropractic care is that they feel younger, healthier, and more active. This is because they are experiencing their true health potential once again. Good health choices now will help you and your family age gracefully down the road. Don’t wait until your health choices become a life or death, or quality of life issue for you. Make good health choices today and make Chiropractic a part of your life. When you’re ready to take action, give us a call at The Family Wellness Center to schedule an appointment.